When I first began looking for a way to represent WickedWordCraft.com, I really wanted a paper-look to match my quill. Since that time, I’ve gone a bit more “high tech” with my look to appeal to my ideal clients (high tech real estate agents and brokers), but I’ve found a few excellent WordPress themes with an old-fashioned paper theme that I wanted to share this week. Some are scrolls, some are smooth, some are scorched. All are beautiful. Burned – A crispy-edged sepia-toned paper theme on a dark background. Two-column, widget ready and with search, 404 and archive page PHP files included. Paprus – This theme is exactly what I was looking for ages ago when I was designing my first rendition of WickedWordCraft.com. Unfortunately, I’ve gone a bit more high-tech now. 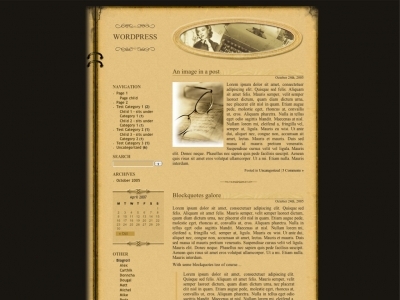 This theme incorporates an aged scroll appearance with two columns, fixed width and widget ready. It’s almost enough to make me reconsider my approach on my business site! Retro Book 1.0 – Cool, old-fashioned paper photo album/scrapbook theme for WordPress. Offers Sepia “paper” with photo inset. 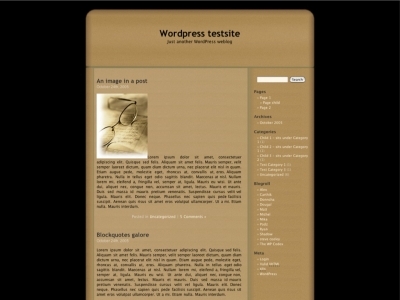 This template is a two-column, fixed width, widgetized theme. WordPress for Real Estate Agents: Blogging and More!